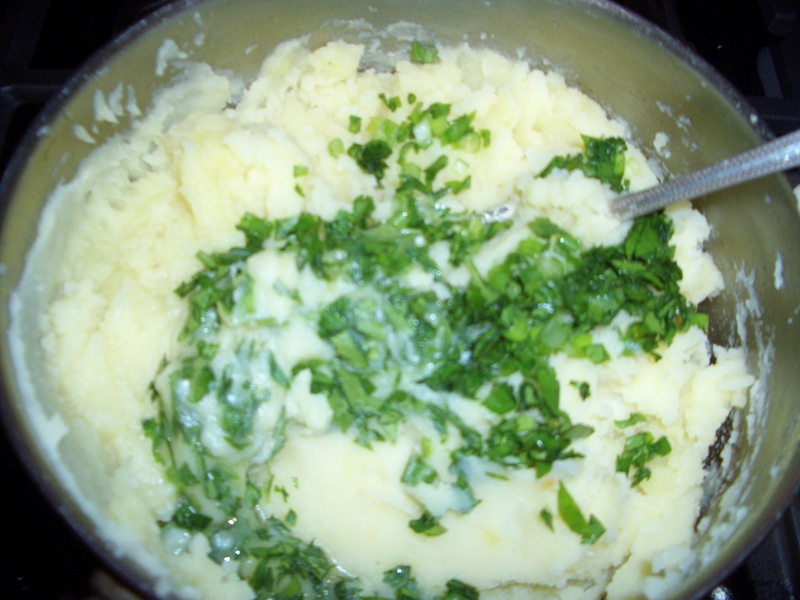 When I first gave up dairy, I would never have dreamed I would prefer mashed potatoes made with olive oil over those made with lots of butter and cream. But that is indeed the case. 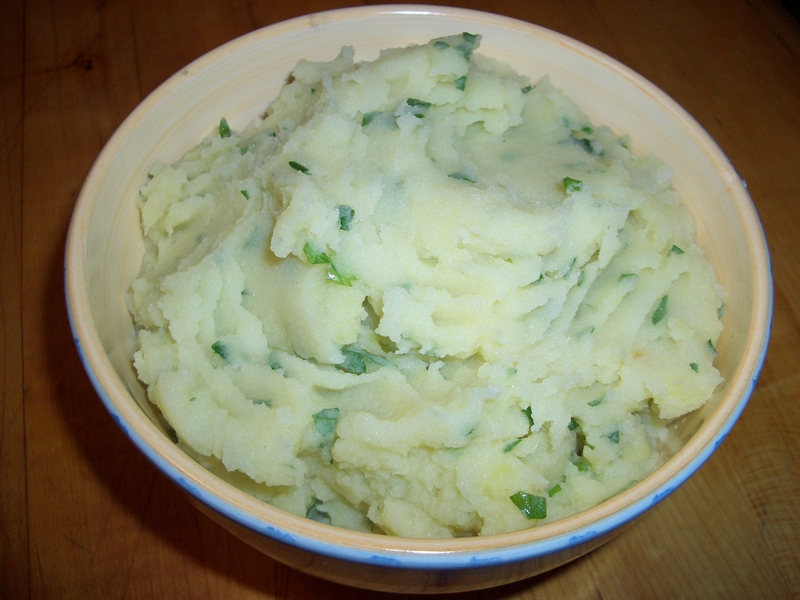 These mashed potatoes are smooth and rich with added layers of flavor from the broth in which the potatoes are cooked as well as the freshness from the chopped herbs. The amount of olive oil you want to use in the potatoes will depend on how “tasty” your extra virgin olive oil is (and for this you must use extra virgin). You will need less of a very fruity/flavorful olive oil than of a bland one. Start with 2 tablespoons of oil, then add more until you have the flavor profile that you like best. 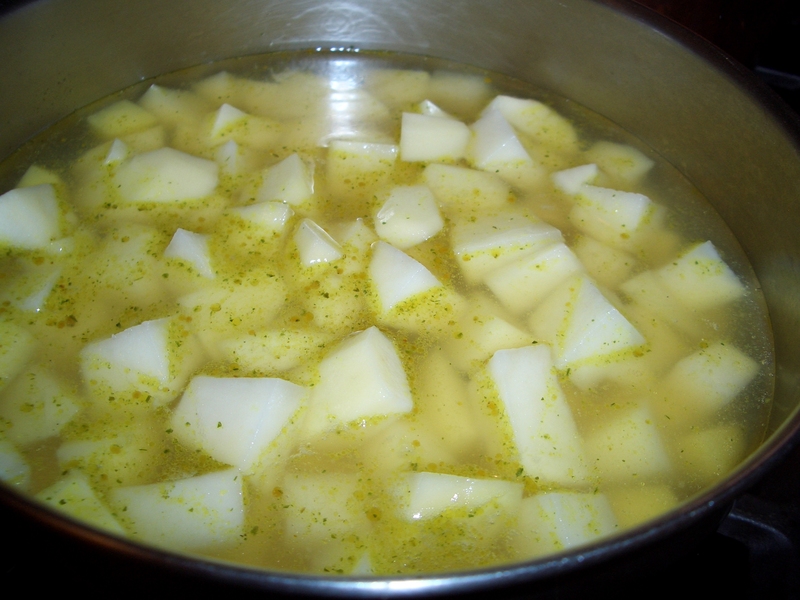 To make these potatoes without garlic, skip the first step of sauteing the garlic in oil and just start with boiling the potatoes in broth. 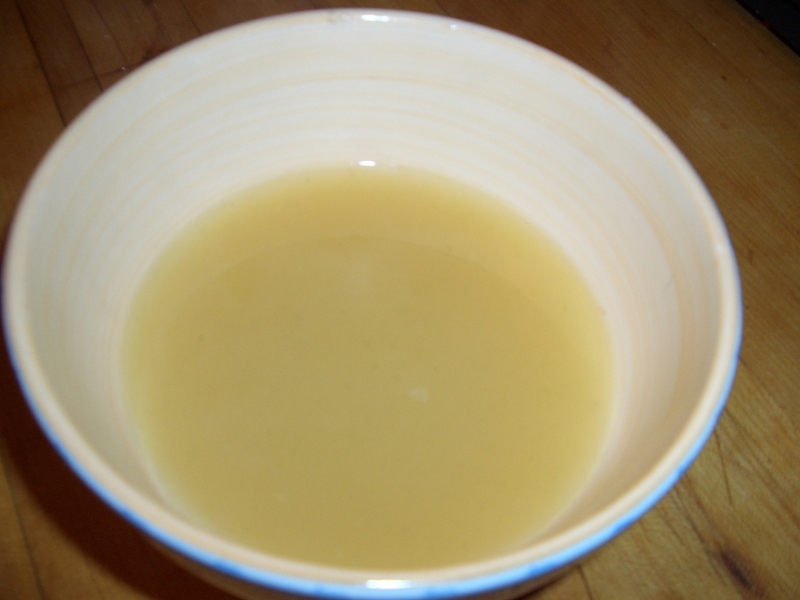 In a 1 1/2 quart pot, heat 1 tablespoon of the olive oil over medium high heat. Add the garlic and cook, stirring, 30 seconds. Add the broth and bring to a boil. Add the potatoes; return to a boil. 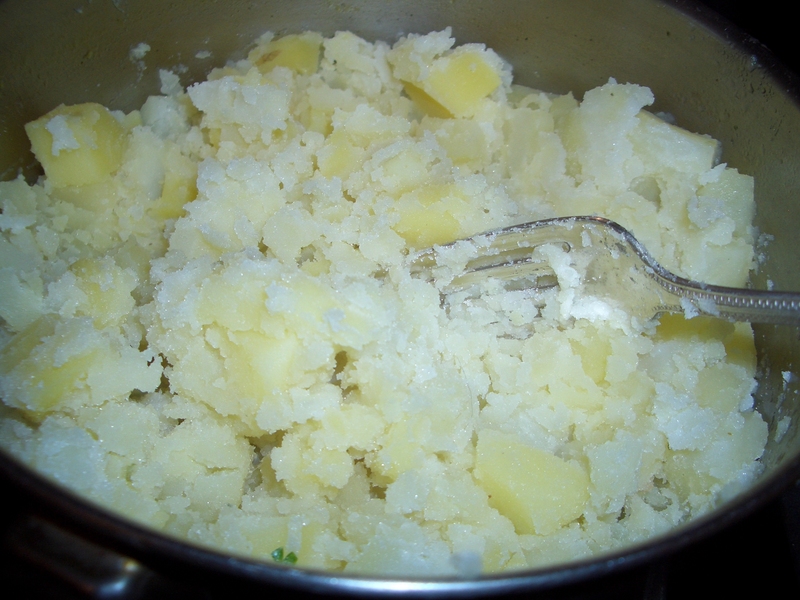 Cover and simmer 15 to 20 minutes or until potatoes are tender (the bigger your dice, the longer it will take to cook the potates). Drain the potatoes, reserving the cooking liquid. 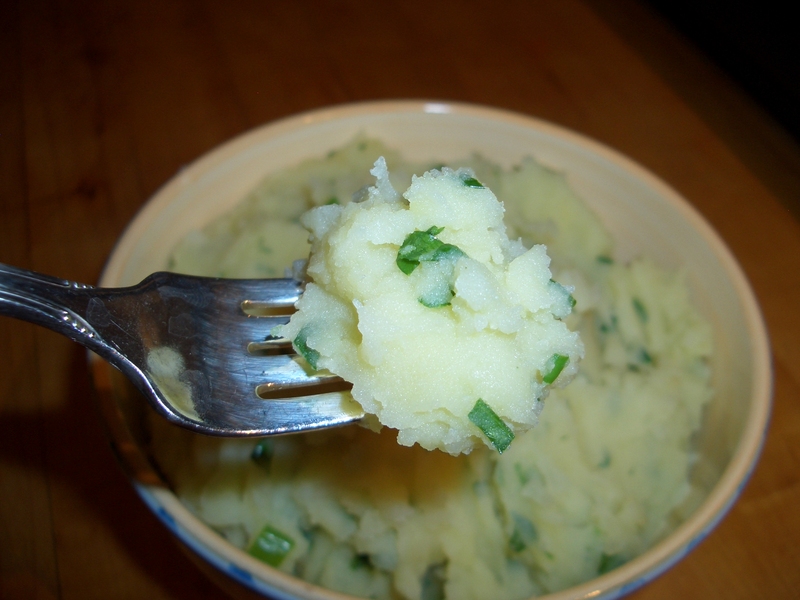 Return the potatoes to the pot and smash with a fork; add in 1/4 cup of the reserved broth, 2 tablespoons of the olive oil, scallion, and parsley. 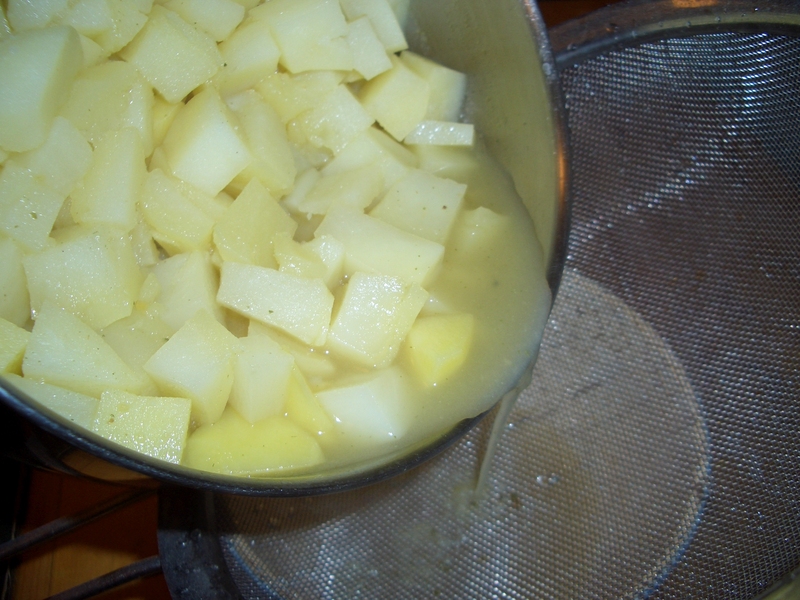 Continue mashing until consistency you prefer, adding additional olive oil or broth if necessary.